What will become of Waucoma Ridge? About a 30-minute drive from Hood River, OR on the east side of Waucoma Ridge and south of Mt. Defiance you will find a vast and “stunningly beautiful” part of the forest that hides a network of old roads meandering through a diverse mosaic of forest types. This area has caught the eye of many local explorers including back country hikers and bikers, skiers, and trail runners. The Waucoma area is a recreation treasure, but according to Mt. Hood’s forest management plan the goal is to pursue commercial logging, instead. It simply doesn’t make sense to log this stunning area when it could provide local communities with a one-of-a kind backcountry experience only a short distance from home. Out-of-date management priorities like those governing the area around Waucoma Ridge fail to recognize that this is an ideal place to convert old logging roads into trails, improving recreation opportunities and reducing the impact to water quality and fish in 10 creeks that flow into the West Fork or Lake Branch Hood River. 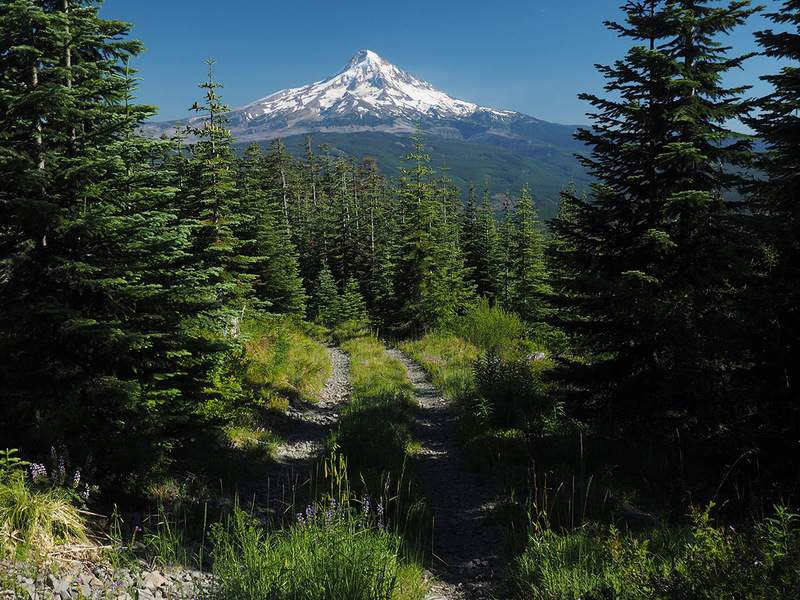 By partnering with recreation activists Bark is developing a vision to propose a Waucoma Backcountry Recreation Area with 38 miles of new multi-use trails just east of the Hatfield Wilderness. The Waucoma Backcountry Recreation Area would be unique opportunity to showcase collaboration between diverse advocacy groups to achieve both conservation and recreation goals in Mt. Hood National Forest and the State of Oregon. It will provide a fun, memorable riding environment that welcomes beginners and more experienced bike packers. Converting old roads into trails is a proactive restoration strategy in an area that’s important for the recovery of Threatened summer steelhead, coho and Chinook salmon. Sign up now to help protect the proposed Waucoma Backcountry Recreation Area from logging and receive notification about summer groundtruthing trips, hikes, bike packing trips and other opportunities to introduce people to this wonderful area. For driving directions to Waucoma and to learn more about the vision to protect the area check out our new webpage. Enjoy your next day on a trail in Mt. Hood National Forest. Thanks to Tom Kloster, long time trail advocate, for letting us use his photo!